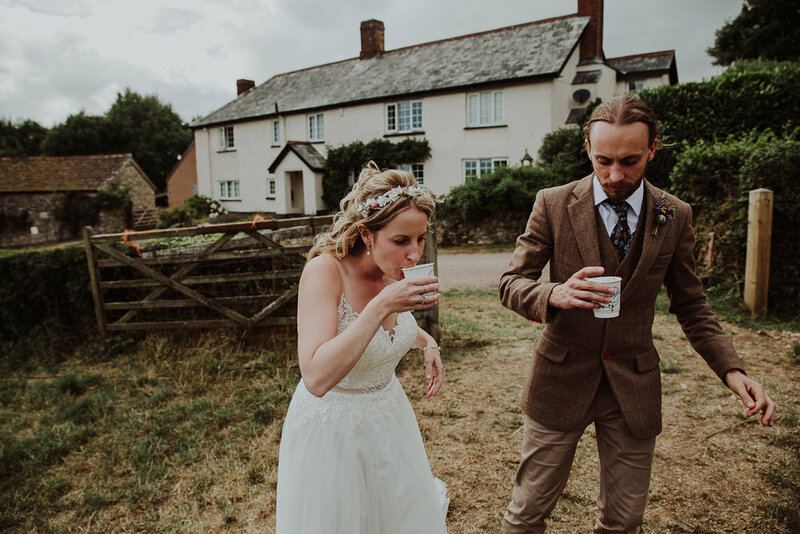 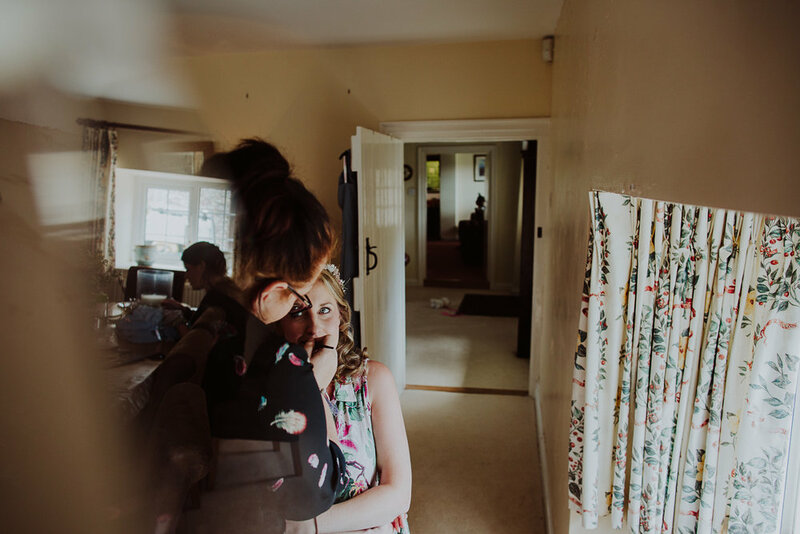 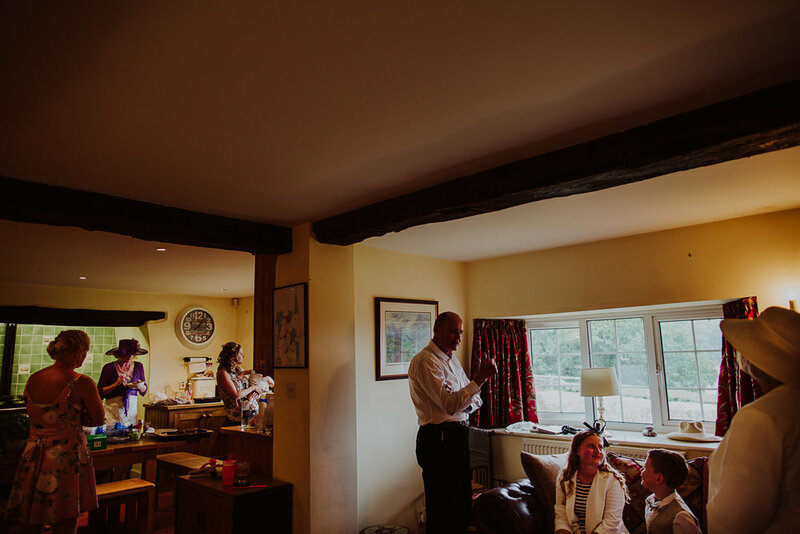 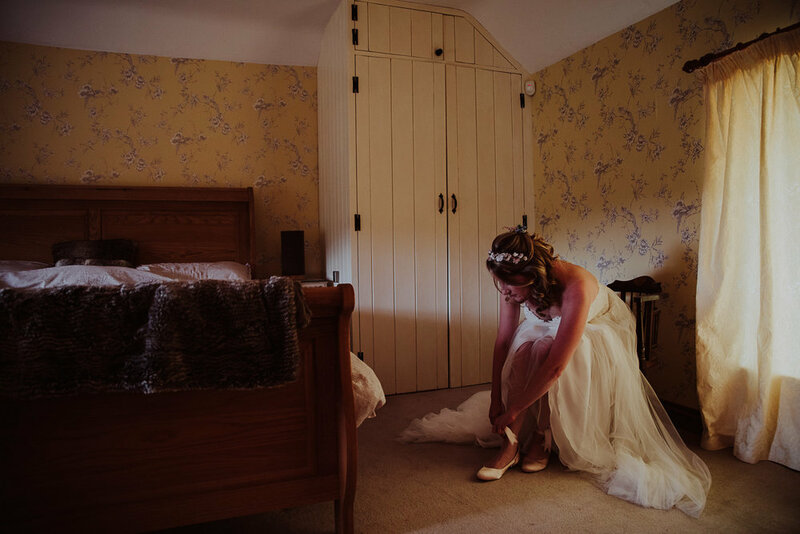 Despite being a Devon wedding photographer even if I am surprised sometimes by a beautiful new area that I’ve never stumbled upon before, and bride Charlotte’s family farm was one of these such places. 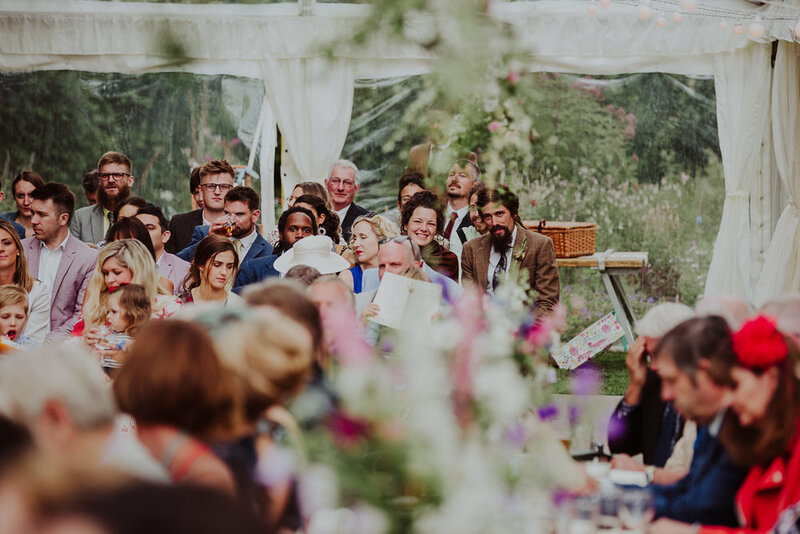 Nestled atop a verdant valley close to the Devon seaside town of Sidmouth, the farm had the most glorious view i’ve ever seen - rolling farmland cutting a valley straight down to the sea. 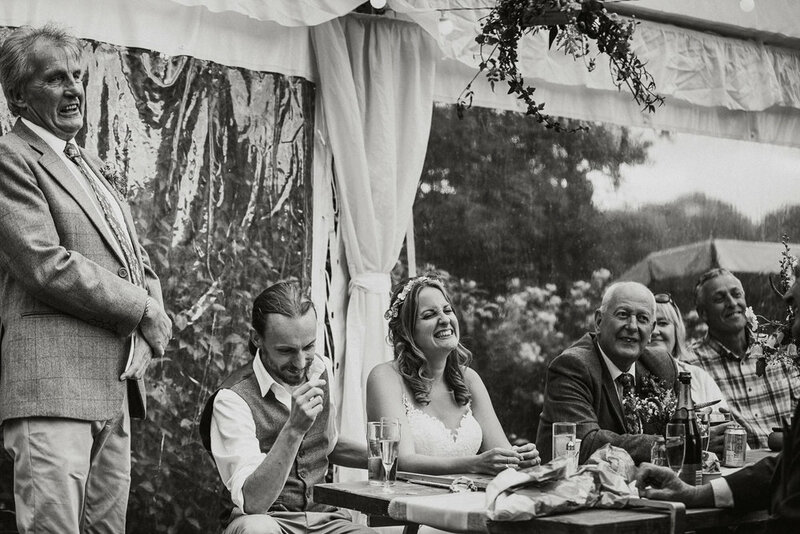 This is Devon at its best! 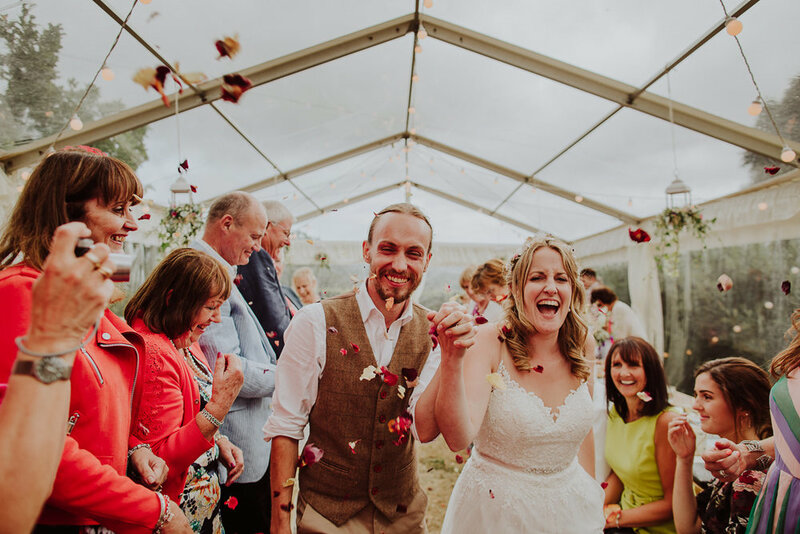 The hope was that Chris and Charlotte’s wedding ceremony would take advantage of the amazing view but unfortunately, after a long heatwave the weather broke and a more typical Devon summer’s day (think sporadic showers and very gusty wind) forced the ceremony into what was still a very pretty transparent-topped marquee. 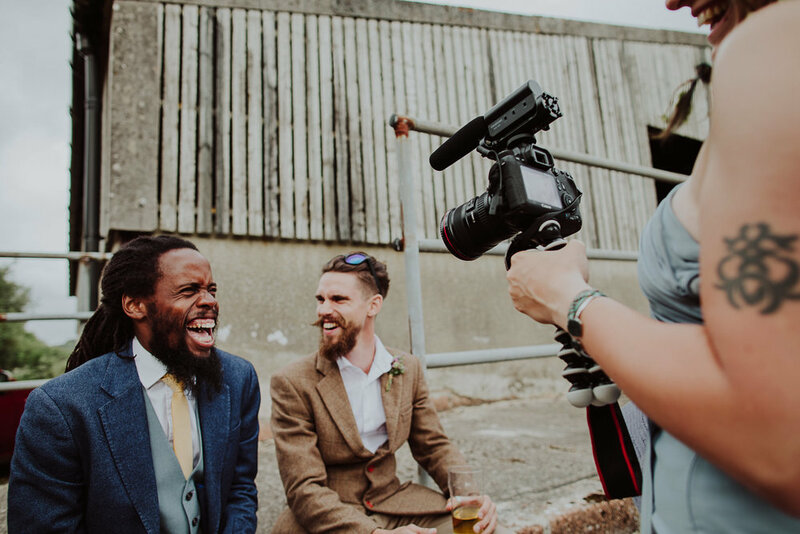 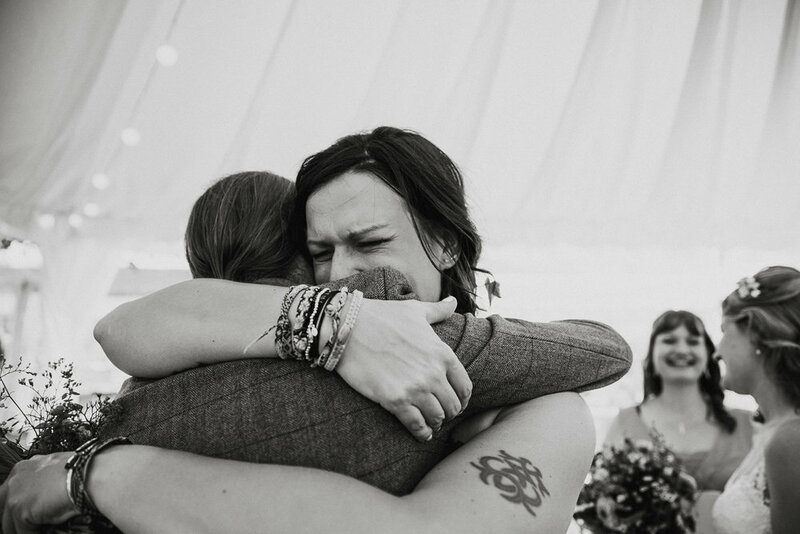 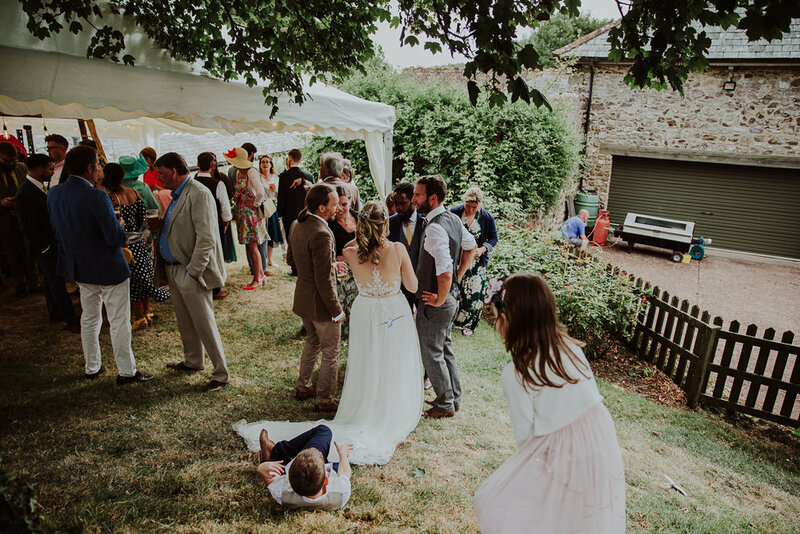 This wedding was full of Chris and Charlotte’s creativity and vision, highlights being: that view; the bridesmaid’s reaction on seeing Charlotte in her dress; the family dogs trying to get in on the action; the love and affection between Chris and Charlotte; the food - oh my! 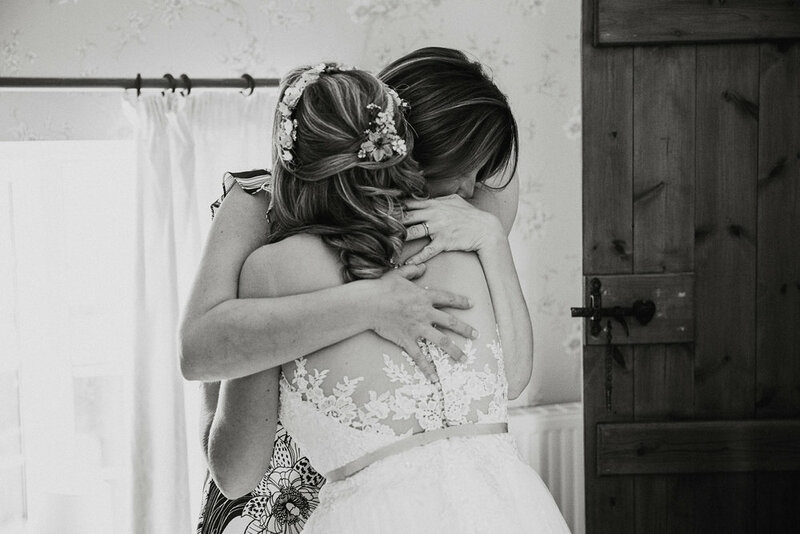 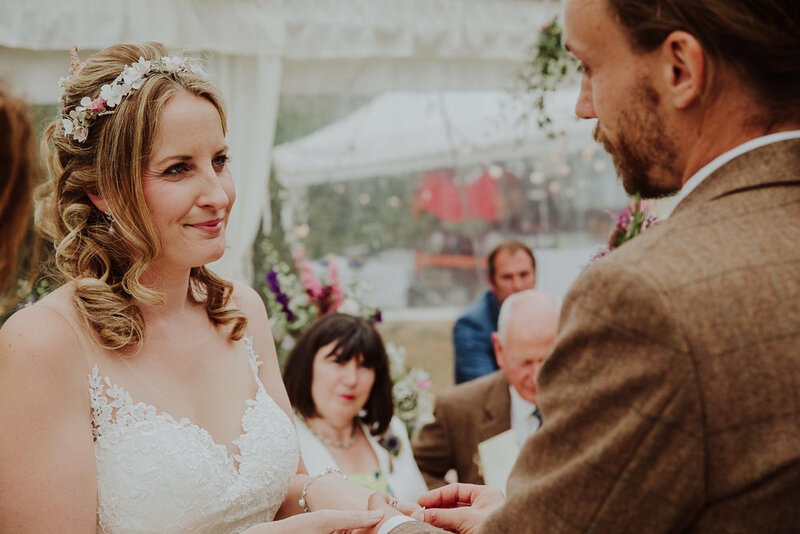 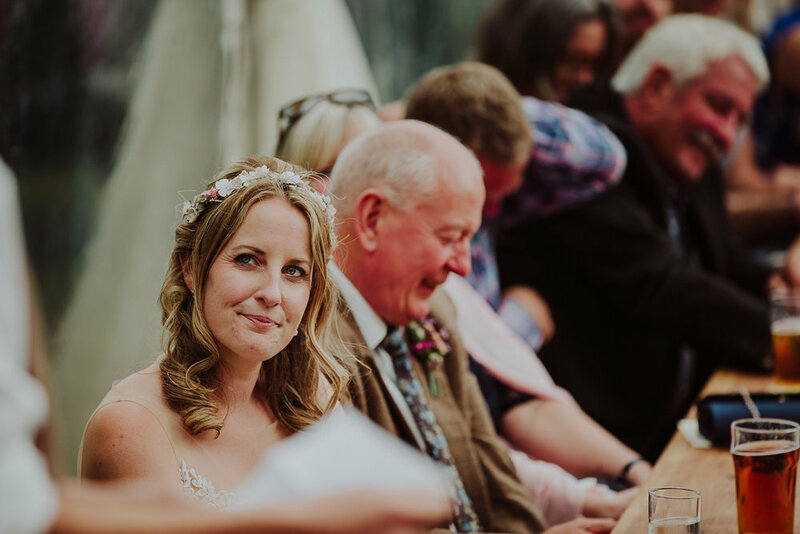 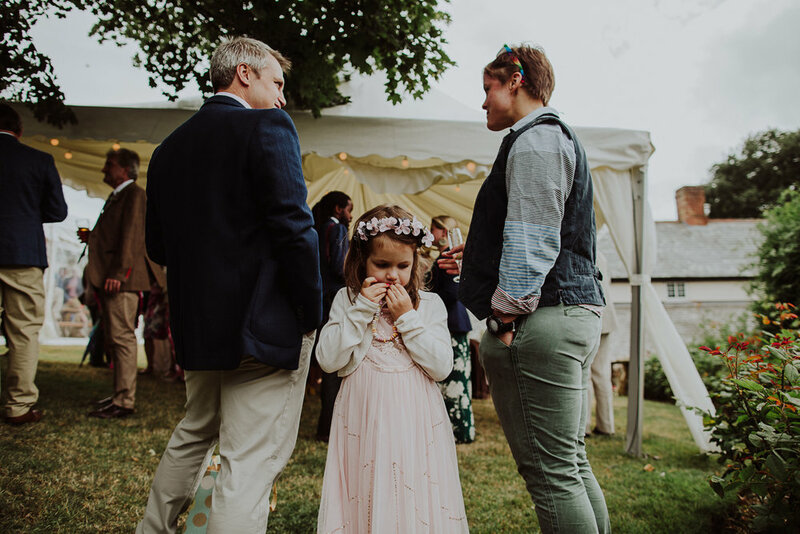 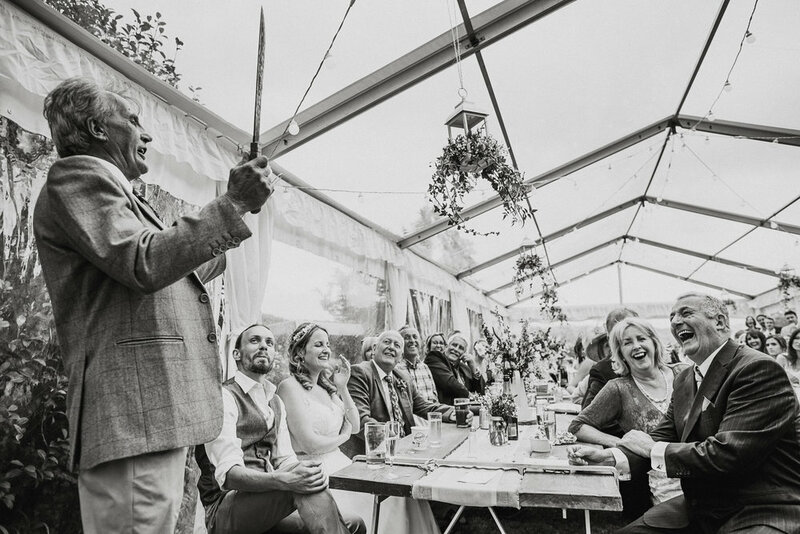 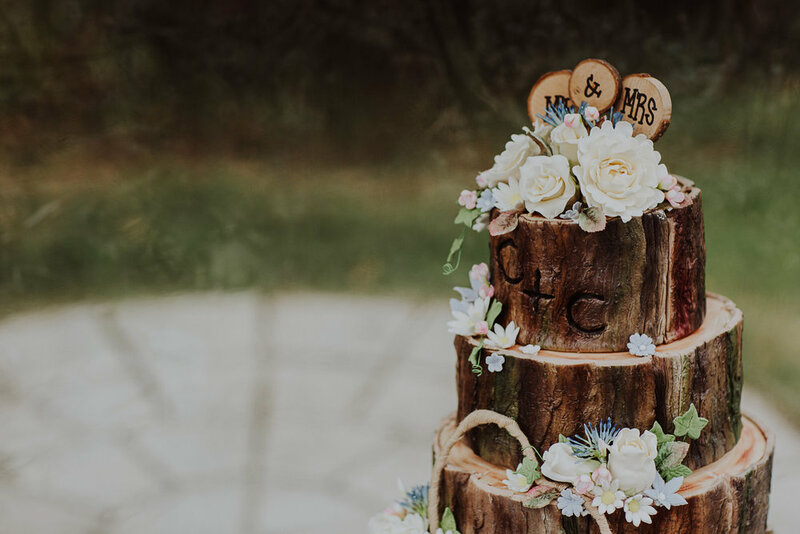 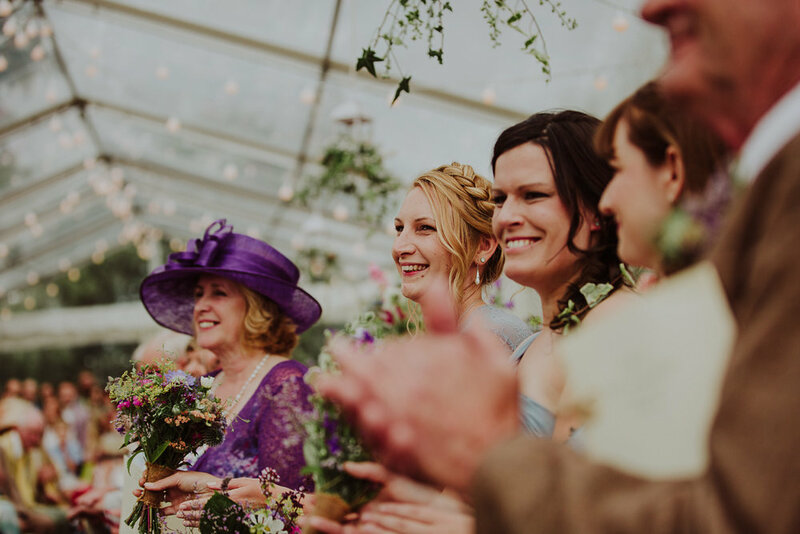 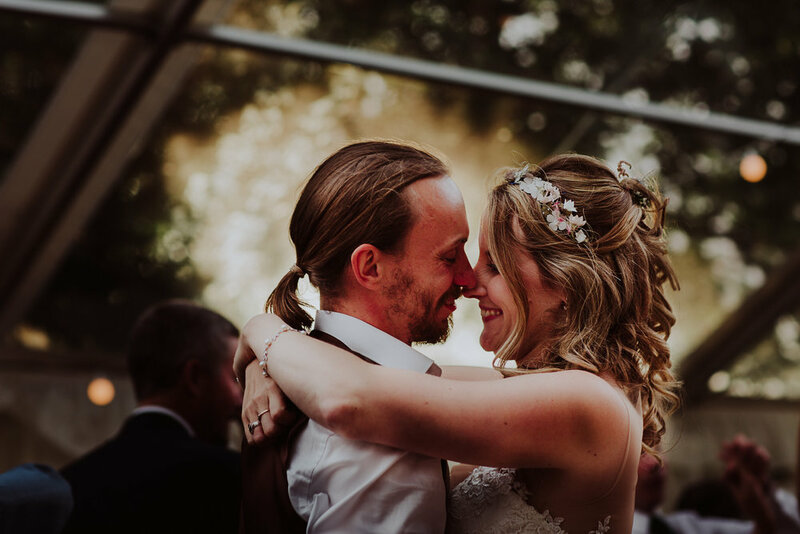 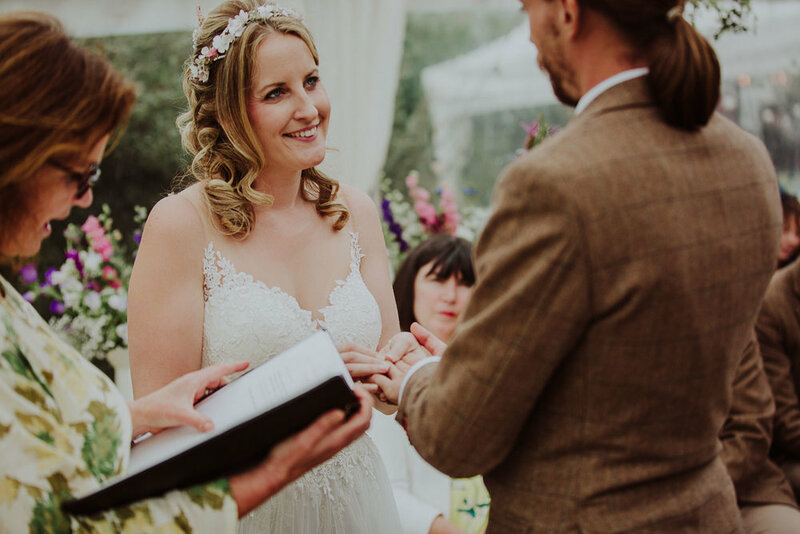 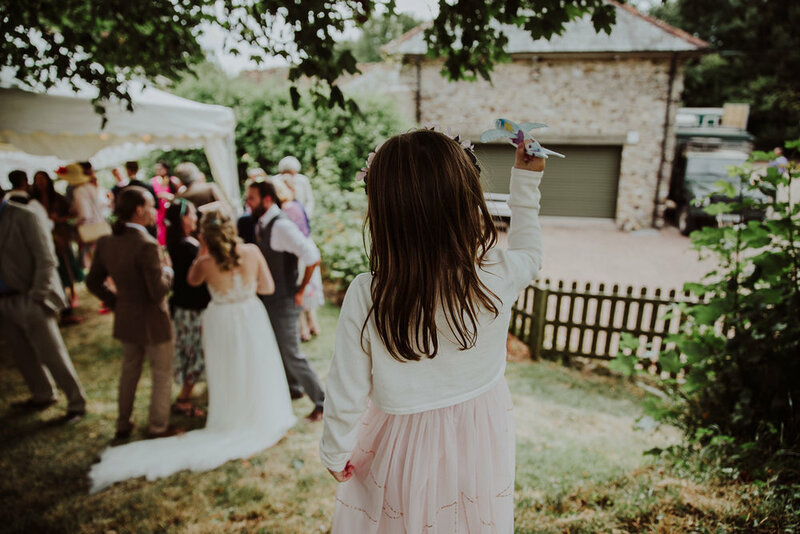 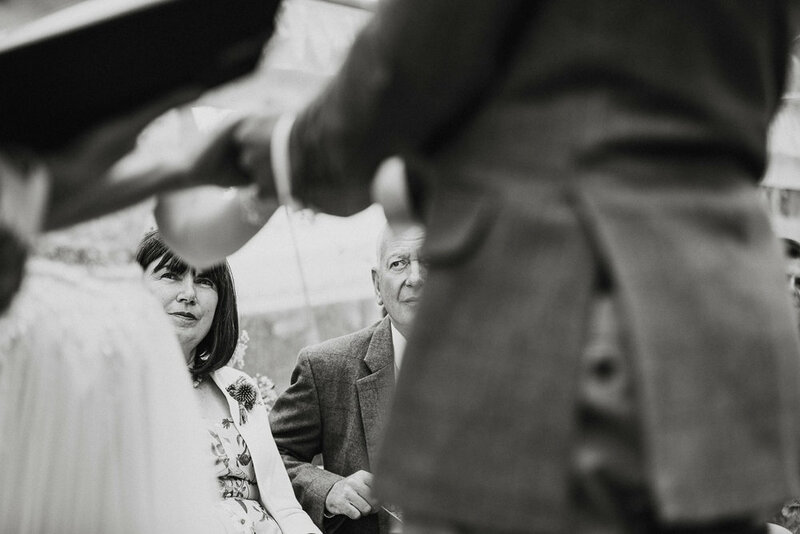 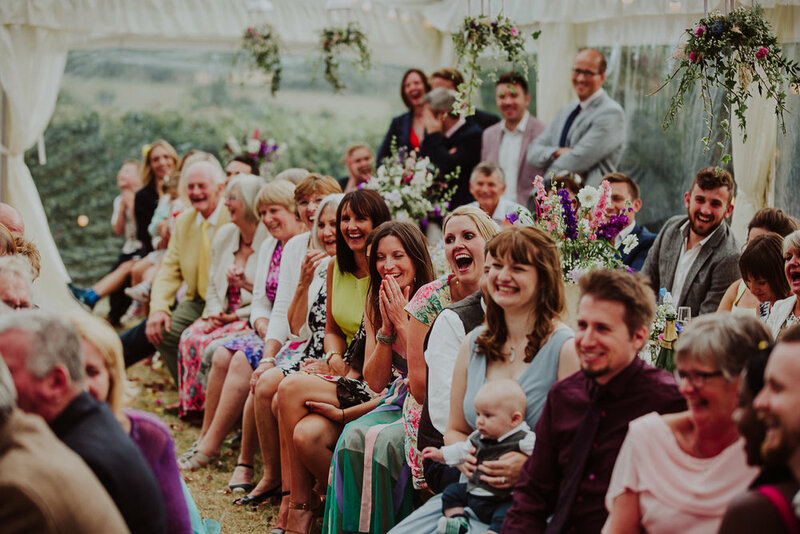 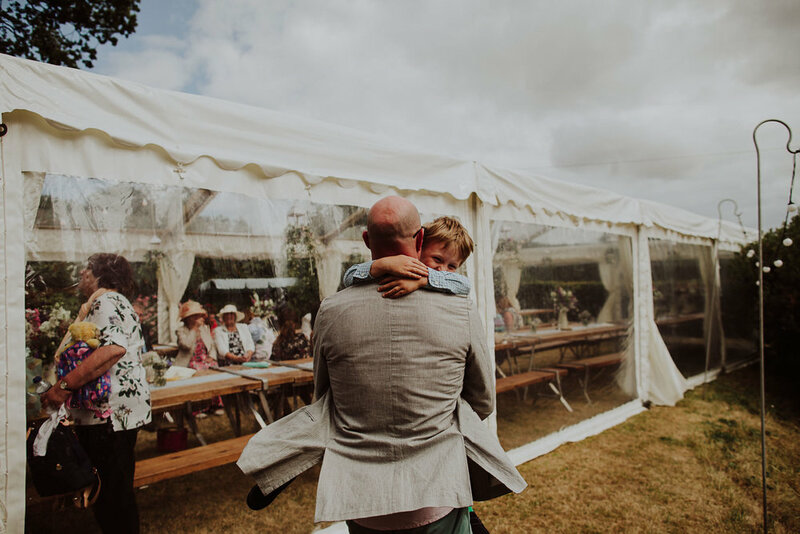 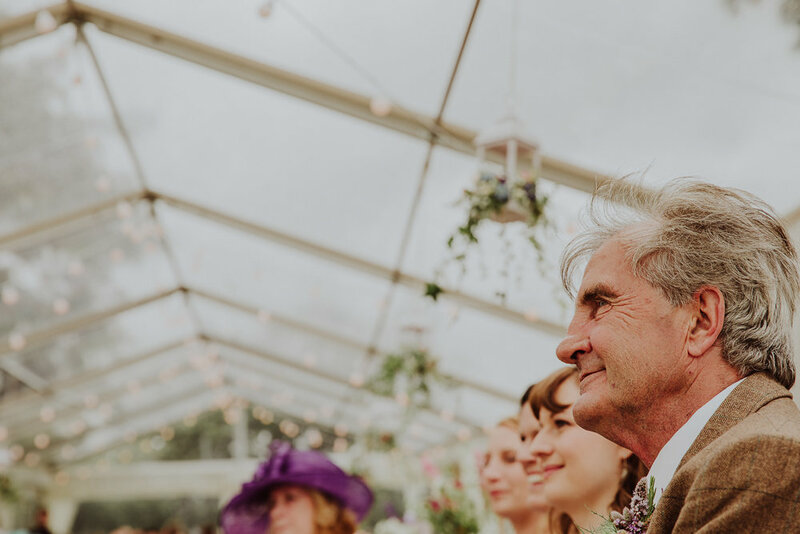 - fish & chips, coffee, ice cream, hog roast; the kids games of hide and seek in the gardens; a little glimmer of sun shining through the roof of the marquee during the first dance! 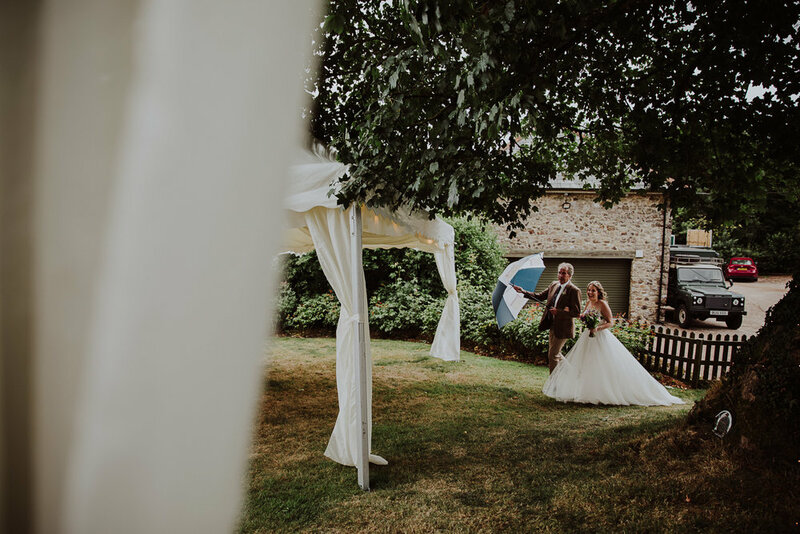 Chris, Charlotte - I wish you, and your daughter, every happiness in your married family life together, may it be long and happy.